This is a tale of baseball, parenting, and capitalism. It's about travel teams, helicopter parents, and the commercialization of sport. It's the story of free-market capitalism. And it kicks off with an article by ESPN's Tim Keown. "Judging by the direction we're taking with preteen youth sports," writes Keown in an August 2014 article, "it appears we have completely lost our minds." The problem? The proliferation of "elite" or "select" sports teams for prepubescents. You know the teams – the ones with professional coaches, extensive schedules, tournaments, crisp matching uniforms, and crazy parents. They're expensive. They stretch families' schedules to the breaking point. And they also wear out children, taking the fun out of sport, and create disinterested, burned-out former ballplayers at the ripe old age of 13 or 14. Or worse. Year-round sport – especially baseball – poses physical risk to children's joints through repetitive exercise. And, the worst of it all, according to Keown, is that travel team experience and ability at that age aren't indications of anything. "Anyone who has spent more than five innings watching 10-year-olds play baseball," writes Keown, "knows that athletic ability in a kid that young is directly related to physical maturity." The players that mature quicker play better. "This is the age of the special child," says Keown. "This is the age of the parent who believes his or her kid playing Little League for the neighborhood team is beneath them both....This is the age of the youth-sports industrial complex, where men make a living putting on tournaments for 7-year-olds, and parents subject their children to tryouts and pay good money for the right to enter into it." 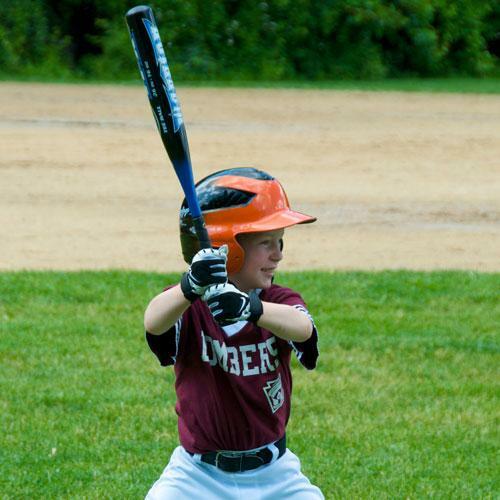 "Parents say, 'Oh, he plays travel ball,' as a means of separating their kids," says Keown. "It's a status symbol, one promoted by parents." "[I]t's the main reason baseball in this country is widely becoming the province of wealthy suburbia." "[The players] are being worshipped by their parents." "We're raising a generation with too much self-esteem," concludes Keown. "They can't handle failure because they've been conditioned to believe they're too good to fail." And thus, Keown, who pens a furious tirade against the parents that push their kids into travel sports, completely misses both the real problem with the issue, and the real cause. For starters, the real problem isn't spoiled children who don't know the sweet experience of failure. The biggest problem with travel sports is that they exclude. Many families can't afford travel baseball. And that has ramifications. While athletic success as a youngster often depends on physical growth, select squads provide the professional coaching and the experience to give their players advantages in the sport later on. Travel ballplayers are more likely to win roster spots in college and professional baseball than their non-travel-team peers. That's the real problem. Travel baseball shuts out too many kids from the sport. Writing in 2014 about the decline of African-American ballplayers in major-league baseball, USA Today columnist Steven Wetherill pointed to expensive, select squads as a major factor. "Baseball is seeing a decline [of African-Americans]," writes Wetherill, "in large part because the evolution of travel teams and pay-to-play leagues have instinctively turned youth baseball into a corporation that weeds out the under-privileged and promotes the privileged." It's in that context that the rush to enroll children in select sports teams makes sense. Only in a society where sport is commercialized, where inhabiting elite teams is a sign of social status and an advantage to jobs in sport, and where not being on an elite team consigns a child to exclusion does the rush to travel baseball make sense. The problem isn't parents. The problem is money. We all know about the increasing wealth gap. The wealthiest people control most of the world's wealth – according to Oxfam, the top 1 percent will control half the world's wealth by 2016. And it's not much better here in the U.S. According to U.S. Federal Reserve data, the top wealthiest 1 percent of Americans control 35 percent of the nation's wealth, and the top 10 percent controls 75 percent. And growing. Which would be tolerable if there were other paths to success. But 30 years of regressive tax policy and anti-government rhetoric have eroded the alternatives. Public institutions – such as schools, libraries, transportation and, yes!, Little League – are seeing constant cutbacks due to funding shortages, while the effective tax rates for the wealthiest Americans shrink. The result? The U.S. is losing its middle class. According to a 2015 Pew Charitable Trusts study, every state in the country has seen its middle class shrink between 2000 and 2013, thanks to stagnant wages and rising household costs. And simultaneously, economic instability for us, the unwashed masses, increases. A full fifth of U.S. workers were laid off during the recent recession, and four out of every five U.S. adults has at some time during their lives struggled with joblessness and near poverty, according to a 2013 AP survey. So you combine millions of uneasy parents, most of whom who've lost jobs and stared down poverty at one time or another, who want their children to have every possible advantage in life, who desperately don't want to slip down the social or economic ladder, who see sports as both a financial opportunity – scholarships! professional ball! – and a status symbol affirming their class, combine that with a society that lavishes billions on sport and promotes it constantly...and you get travel baseball. Not that you see any of that in Tim Keown's tirade against travel baseball. But then, if you trace a fine line from the helicopter parents who shout from the stands and obsess over their kids' playing time at shortstop through to the sport of baseball itself, you must invariably pass through Keown's own network, ESPN, a $40-billion company that earns its daily bread by incessantly focusing on sports. If Tim Keown wants to properly assess blame for travel baseball, he doesn't need to look far.